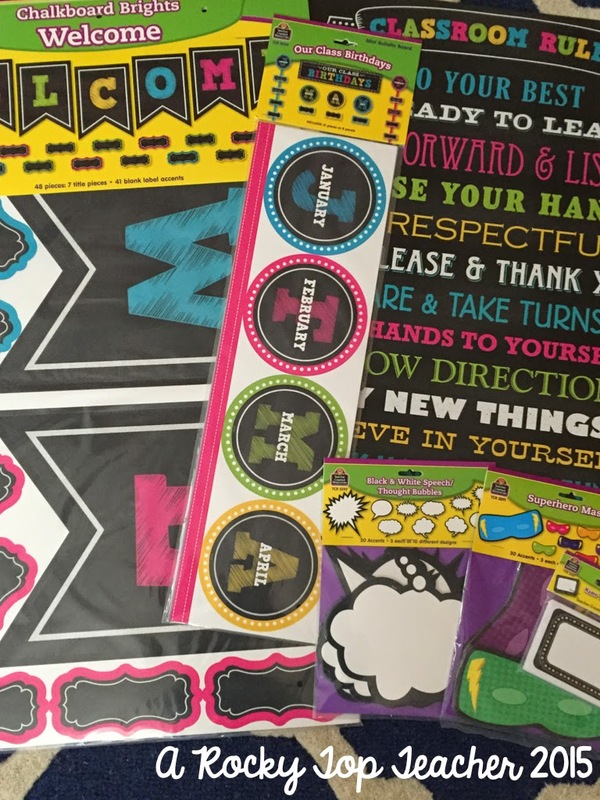 Are you one of those fabulous folks who FREAK OUT when you get a teacher catalog in the mail? I get so excited and have to stop everything I am doing so that I can look through the whole thing RIGHT then. You can imagine my excitement when I received the new Teacher Created look book in the mail. I was so impressed with their new Chalkboard Brights and Superhero lines and knew that I had to have them in my classroom. Now that I have gotten the chance to play around with the new sets, I can't wait to incorporate them into my classroom decor next year. 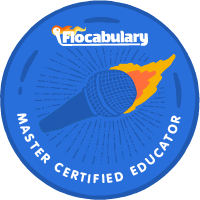 The best part about some of the goodies that I snagged from TCR is that I can use them now in the classroom. Check out some of the ways that we are using their products. My first new love is their HUGE welcome sign. We are hosting our first ever Academic Parent Teacher Team night in a few weeks, and I can't wait to use this beautiful sign to welcome parents and families into our school. 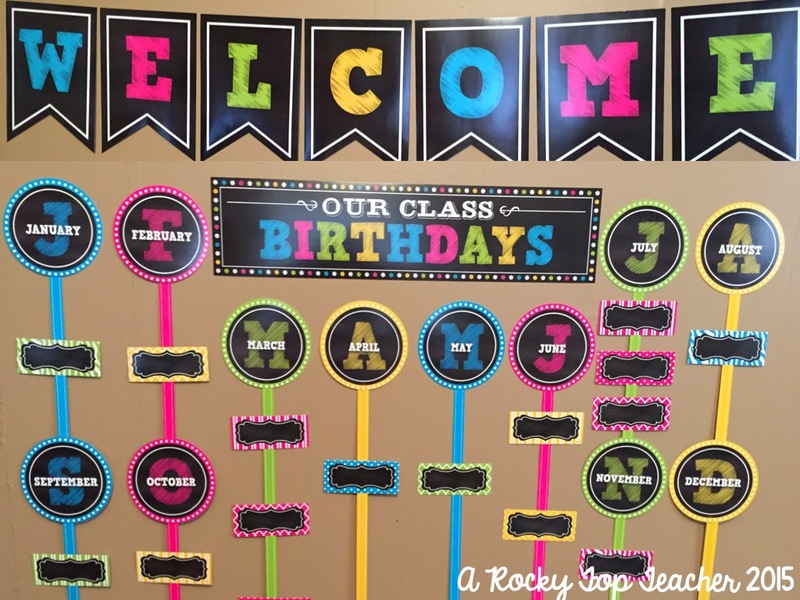 It is going to be such a fabulous way to greet them and make them feel invited! 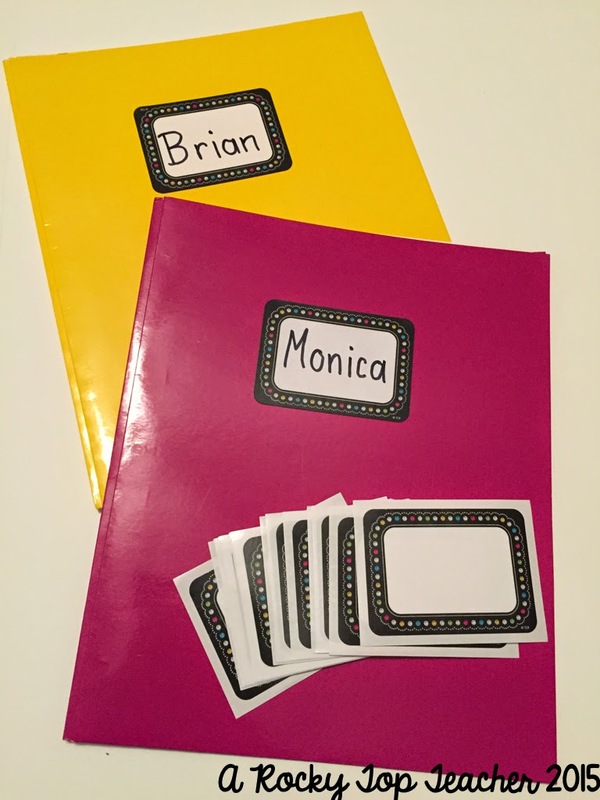 During our APTT night, my school families will be going home with a folder full of tips and tricks that parents can use at home to help boost student learning. These cute new chalkboard name tags can act as labels as well! I haven't seen my students since the 13th of February thanks to all of the snow the South has been hit with. 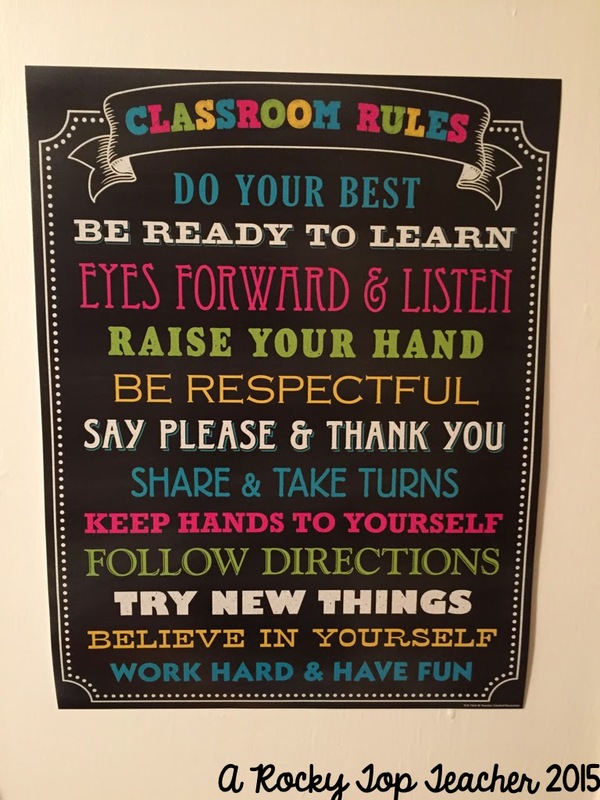 This fancy new classroom rules sign will be referred to a lot as we reestablish our classroom rules and routines. Also, check out their new Chalkboard Brights birthday display! 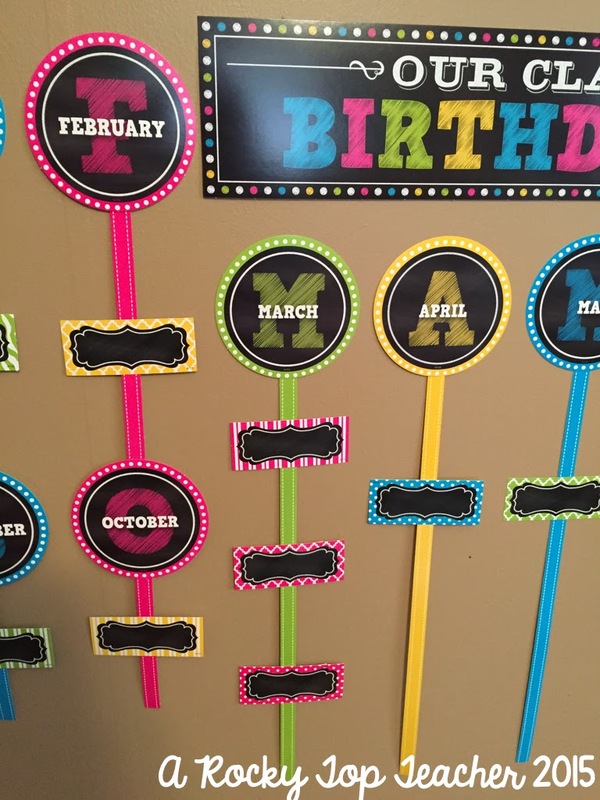 It was super easy to put together and will match perfectly with my classroom colors. We are at the point of the school year when making sure that we are reading closely is a major focus for my second graders. We have reading toolboxes that we use to help make reading fun and interesting! I cannot wait to show my kiddos their new additions to our reading kits. 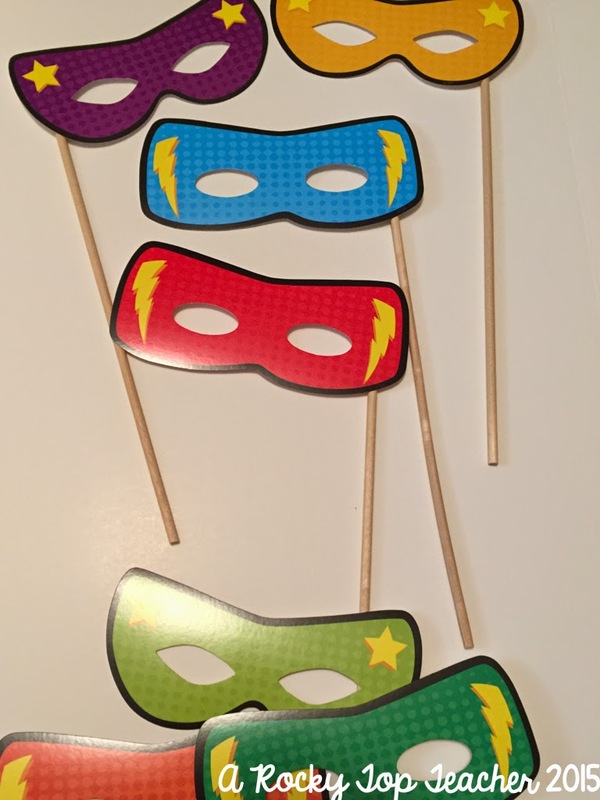 The new superhero masks are attached to wooden dowels so that students can hold them to their faces while reading. 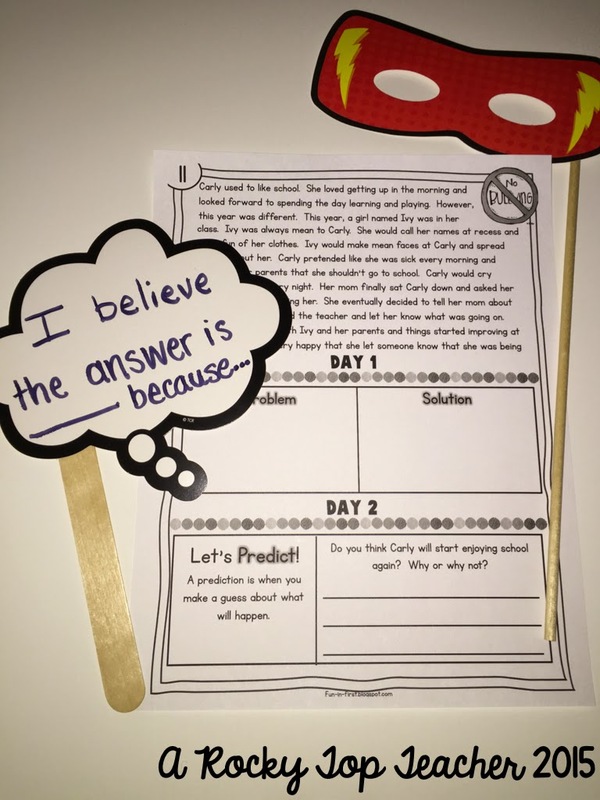 It will go great with our "use your superhero powers to read closely to find answers in the text" concept. 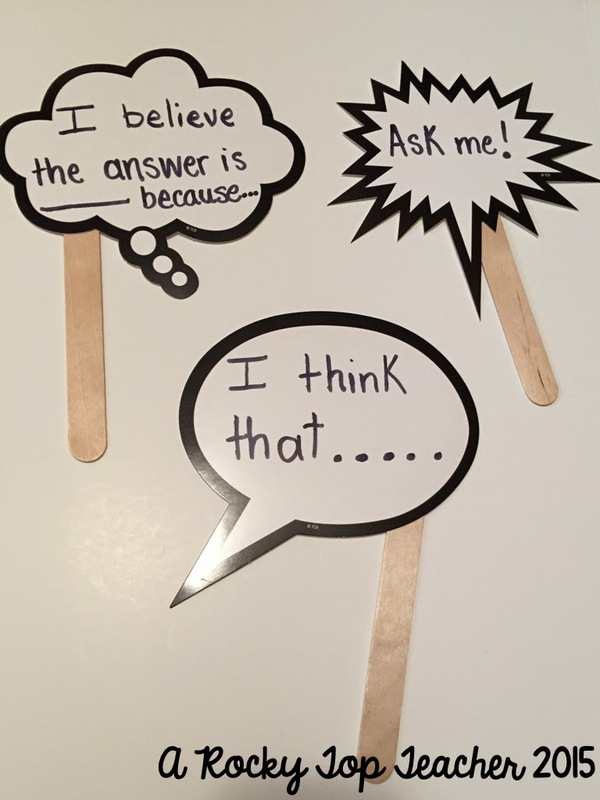 I also used the speech bubbles to help students remember to use "think stems" and accountable talk when participating in small group and whole group discussions. Students will hold up the speech bubbles when they are ready to add something to our classroom conversations. These accents are attached to jumbo craft sticks. 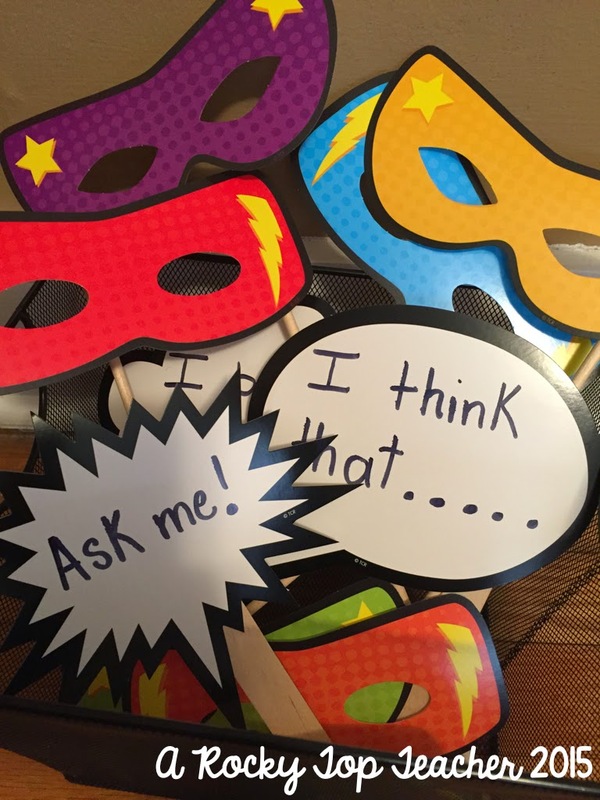 Each student will receive a Super Reader mask and each of my small group tables will get their own sets of the speech sticks. I plan on laminating some of the speech bubbles and leaving them blank so that students can add their own thought stems! Here are the direct links to the products used in this post. 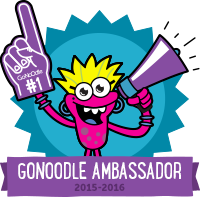 I have had a blast exploring using Teacher Created Resource's new products in my classroom. And...guess what? 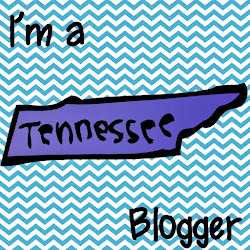 My friends at TCR want to give away from goodies from their new Chalkboard Brights line! Enter the giveaway below to snag a gift basket full of their new items! This stuff looks AMAZING!! I could totally see redoing my room in this chalkboard brights!! LOVE it!! Oh my goodness...I just LOVE LOVE L.O.V.E. their stuff! Entered and crossing everything! Love TCR and all their things!! Sarah, I love this! I have always loved the chalkboard look! So cute! I absolutely love all of this stuff! I'm so happy you posted on Facebook in the Primary Teachers and Resources page.